A top-5 pharma company had an early-stage asset to treat rheumatoid arthritis (RA). Due to the early development stage of the asset, the final TPP was uncertain. The customer needed to understand the pricing potential for the asset across a range of TPP scenarios, for the EU5 and US. The TPP scenarios were not limited to the absolute level of clinical improvement/safety demonstrated by the brand, but also included a range of possible co-prescription scenarios. For example the brand could potentially be added-on to the current non-biologic standard of care (methotrexate) or could add-on or replace the current biologic standard of care (α-TNFs). Pricing potential in six countries and four scenarios. Quickly recommend a likely reimbursed price for each country in the analysis (EU5 and US). Estimate the impact of the brand launching in an add-on vs. replacement treatment setting. 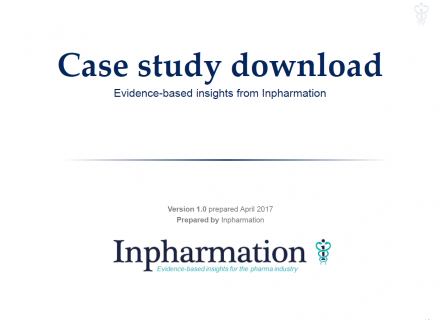 The customer required a long-term pricing solution that could provide a price recommendation for a wide-range of possible TPPs, including different clinical improvements and different safety profiles. Rheumatoid arthritis is a therapy area with established clinical measures so Inpharmation provided a solution where a range of % improvements vs. the current standard of care could be simulated in order to provide a price recommendation. Long-term pricing recommendations, allowing for significant TPP changes. There were seven different efficacy measures that could change as the TPP evolves. This could result in complex analysis for the pharma company, post delivery. The early development stage of the asset could result in the standard of care changing after the primary analysis was run.